Poll: Are You Hyped for Gamescom 2018? And what games do you want to see? 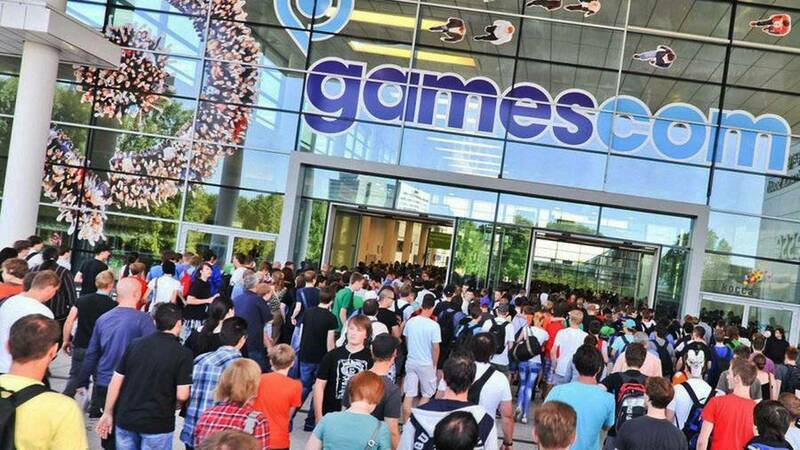 Gamescom was once thought of as Europe's equivalent of E3, and given the size of the annual event we suppose that still holds true to some extent, but it feels like the Cologne-based convention has fallen off the radar just a tad over the last few years -- at least in terms of hype. It's also worth mentioning that Sony used to hold its own Gamescom press conference, but largely due to the event's proximity to E3, the Japanese giant dropped the idea. Gamescom 2018 kicks off next week anyway, and it's set to be a pretty big deal. All of the usual publishers will be in attendance to show off their latest game builds and shower us with new trailers, but what are you hoping to see? Are you looking forward to Gamescom 2018 or are you indifferent? Are there any games in particular that you're eager to get your eyes on? Vote in our polls, and then give us a hype report in the comments section below. Still praying for some Dark Cloud 3, do we usually see mega announcements at Gamescom? @RedMan33 Typically no. Most of the mega announcements have already been made at E3, or they're being kept for later in the year (PSX, possibly Paris Games Week depending on whether Sony has a press conference there). Gamescom is usually about new trailers and details for games that are already known. Life Is Strange 2: Desperate to see what this is now. Is it going to be some kind of weird superhero story? What's the cast going to be? Can't wait. Twin Mirror: Another DONTNOD game that looks like it's been made for me. Really eager to see the gameplay for this and learn more about the story. Devil May Cry 5: One of the most hype announcements from E3, can't wait to learn more. Special mentions for various other games, though: Sekiro, Hitman, BioMutant! Should be a good week. I'll be keeping an eye on it. There's sure to be a few big things coming out of it. I would love if CD Projekt Red showed the Cyberpunk demo but I fear they won't want to risk misleading consumers if the demo was just a vertical slice like what happened to Witcher 3. @RedMan33 Sony used have some huge press conferences at Gamescom (it's where the PS3 Slim was announced for example), but times and priorities change. They obviously still have a big booth. YES, more Tomb Raider trailers! Cannot wait! Is anyone doing a conference this year I know Microsoft have done in the past. Seems to have been very little buzz about it this year I completely forgot about it til this week. Ace Combat 7, Resident Evil 2, Spider-Man. To be honest I had forgotten this event was on the way. I hope we get a trailer for Spider-man and Tomb Raider. No idea what to expect. I’d like to see some release dates for some of these games. I don’t care to see more about the games coming out in the next 3 months. Those will be here soon enough and marketing has been in full swing anyways. @bindiana I think Microsoft is doing one of its livestream things, but there are no pressers this year to my knowledge. Which is fine, still should be lots of news and trailers! @get2sammyb Ah right seems like Gamescom has been overlooked by most people. Would like to see more of Biomutant as not a lot been shown of that so far and hopefully a release date for Sonic Racing. game looks interesting but has gone dark for far to long now. now we all know what that usually means so i hope to see some new stuff about that game to bring some hope back. and spiderman,reasons should be obvious. My interest lies in the Indie Arena Booth games.That's where the most interesting games are in my opinion: The Sinking City, Star Renegades, The Sojourn, Atone, Antigraviator, Trueberbrook - A Nerd Saves the World, Felix The Reaper, FAR: Lone Sails, Etherborn, 9 Monkeys of Shaolin, and many more, coming to the PS4. For me, Gamescom is as 'hype' as E3 - ie not a lot but still have a big interest. If we get to hear about some new games or even hardware, then I am happy. As for the games I want to see, I went for options that we haven't had much news or info about yet. I don't really want 'more' on Spider-Man, Tomb Raider or Assassins Creed as I have those pre-ordered already. RDR2 is pre-ordered but we already know more game-play video's are coming. Whilst Sony may not be doing a Press conference, I am sure they will have some floor space and we could get 'new' details from some of their big Exclusives. MS are doing a livestream and its believed that they have some 'new' things to announce - a V2 Elite for example. Sony are expected to reveal what Project Mephisto is too so we could still get some news from these giants. Poll not looking good for Activision zero interest in COD and Destiny! Destiny 2 and CoD4 both get a distinguished goose egg. i've been a couple of times to gamescom, during the PS3 era, it sort of felt like some kind of half-way thing between E3 and eurogamer expo. it had all the on-floor access to games and smaller dev talks of the latter, whilst occassionally getting a bigger conference or two like the former. in terms of actual exhibition space and visitor numbers, it's huge, much bigger than E3. Nothing can take my hype away for Red Dead Redemption 2. Unless some more of Cyberpunk is shown. I'm not particularly hyped, but that's mainly because I quickly forget about this event, and don't know what to expect. Once new game info is revealed at the event, then I should be excited. Kinda hoping Gamescom would be when they finally put a date on Dreams and announce a beta coming soon.. Still hoping that Fortune Street game for PS4 with Dragon Quest and Final Fantasy characters gets localized. It was released last year in October in Japan. I'm excited for additional details about anything I've got pre-ordered, or things I've got next year's eye on, but I can't possibly be excited for known-unknowns (the things I know that I don't know) or unknown-unknowns (things I don't know that I don't know). Always prepared to be pleasantly surprised, though. Why that wasn't a choice in the poll I'm not sure. I'm interested in cyberpunk 2077, devil may cry 5, and sekiro because there's little to no info about them. I don't need additional info for spidey, kh3, and re2 remake, I think I'll buy all 3 on launch. @adf86 one would expect it to be alright if they go full disclosure that this isn't the final product and subject to change, but as we all know the internet they're is going to be outrage later down the line no matter what. Do you guys know what Project Mephisto is about? Could it be Demon’s Souls remastered? I would love that. Life Is Strange 2, Biomutant, & Twin Mirror are my picks. @PS_Nation I'll be surprised if it's a game Sony has a direct involvement with cos you'd think it would be announced at their conferences or something. @adf86 You’re right dear, they would probably announce on E3 or PSX. I really want this remaster to happen. I want to see DMC5 most of all. I'm undecided because of some worry about the story. It needs to be good if I'm gonna pre-order it, and if it's edgy junk lead by Nero (I like him, but don't think he should lead a second game, it was okay with one, but no one wanted or asked him to lead another one), I'll be getting much cheaper after launch. Some of the games I'm sold on so I don't need to see them there. Need to see some Cyberpunk 2077 gameplay! It is probably just me but it feels like we have seen enough content from games like Spider-Man and Tomb Raider recently. Hoping to see some gameplay from Cyberpunk and more of Sekrio. Will be good to see something of Biomutant, not seen anything of it since it got delayed. If that list of games is all that's there, I can't say I'm particularly interested in a single one of them. Hadn't even heard of 5 of them. I was only ever hyped for Gamescom because of Sony, so not really hyped this year. @adf86 that downgrade will happen for sure. I'd also like if there would be any news for 13 Sentinels, although I doubt it. Hoping EA/DICE announce when the BFV beta early access starts. Gamescom is normally pretty dull IMO. But I'll keep an eye out just in case.